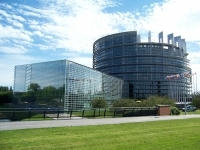 The European Parliament that was elected in 2014 held its last plenary session in Strasbourg just a few weeks before the European elections that are due to take place between 23rd and 26th May. The legislature now ending was marked by greater political fragmentation and the end of the agreement between the two main parties. MEPs whilst legislating on many issues raised by current events, tried to increase their political and institutional role.